Heavy Team - A Children's Book on Oversized & Heavy Cargo! 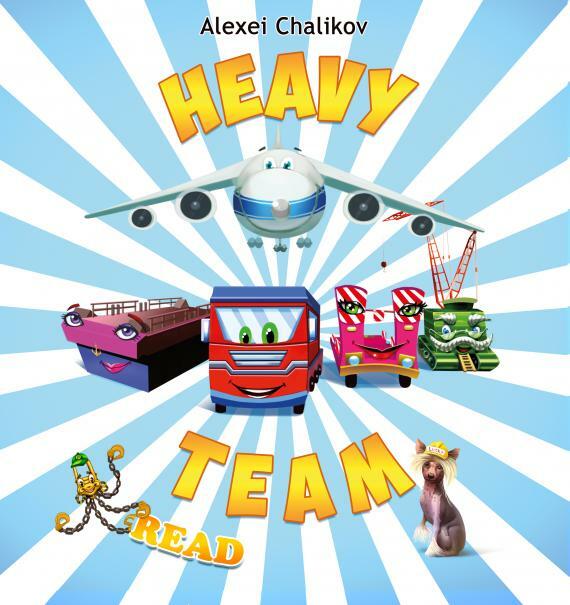 'Heavy Team' is the world's first children's book on the installation and transportation of oversized and heavy cargo! What a unique and socially interesting media project this is! 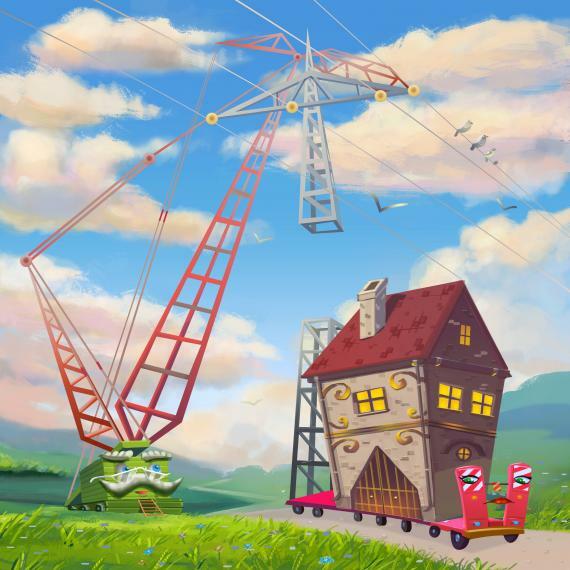 "The book provides children with an interesting and 'through-play' insight into the industry and work of their parents including types of cargo, the way to move an entire house and much more educational information that will bring the industry to the next generation." "The book is two-sided and consists of two parts. 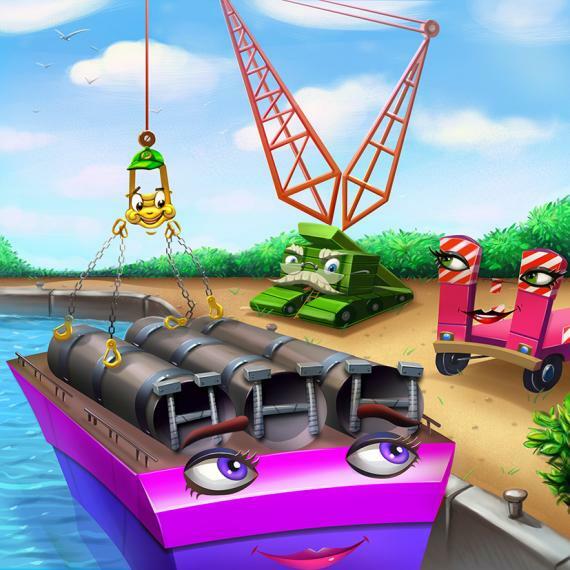 The first part, Reading, centers around adventures of the book's characters and the second part, Playing, offers a selection of interesting games whilst telling children about what kinds of different and unique cargo exists. The whole story comes with cartoon pictures and has been published in two languages, English and Russian, with Chinese and Arabic to be issued in 2019." Click here for a short video introducing the book. "All companies are welcome to cooperate in the creation of new books and also corporate editions. You can participate in making new children's stories where one of the characters can bear the name of your company. The Heavy Team book provides great marketing opportunities in a new format. Today, it is very important to show that a company is involved in socially important projects targeted at different age groups. That is why a book is a crucial link to communicate information about a company, its products, brands and 'good deeds' to the outer world." For any matters related to the Heavy Team book please contact Aleksei Chalikov on chalikov@heavy.world.